In the world of knives and cutlery, the Ontario Knife company has its own goodwill and recognition. 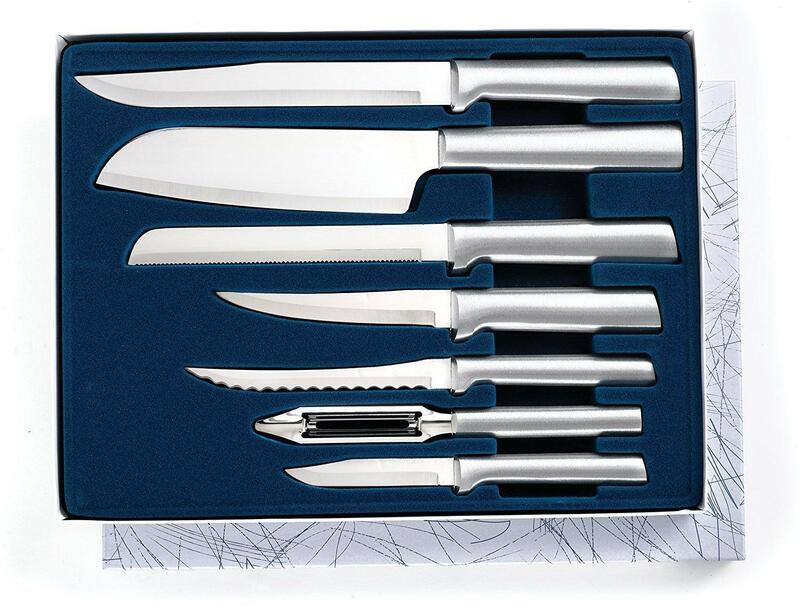 Whether it is a knife or a tool, you are ensured of quality materials and its uncompromising dexterity. This is also the secret of its most valued performance and price. 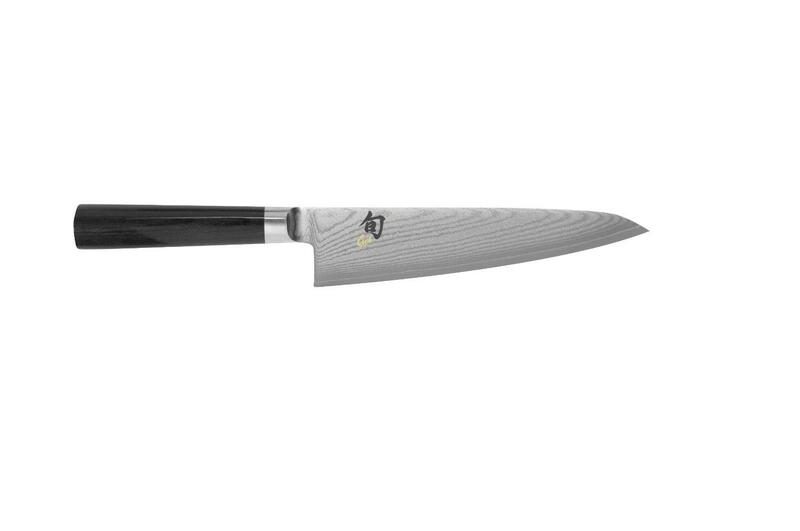 The blend of these four pros is what you experience with its Linoleum knife. 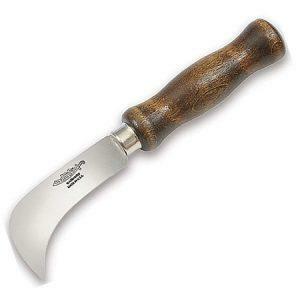 The tool belongs to the brand’s popular category of industrial and agricultural knives. This category has evolved over a past few years to encompass a myriad of tools as per the changing needs of the users. 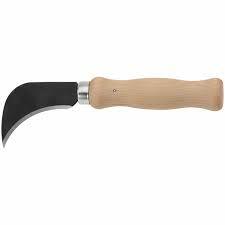 Apart from including the field, vegetable, fruit, and construction knives, it also holds a linoleum knife that is useful for handling anything that is made up of linoleum. 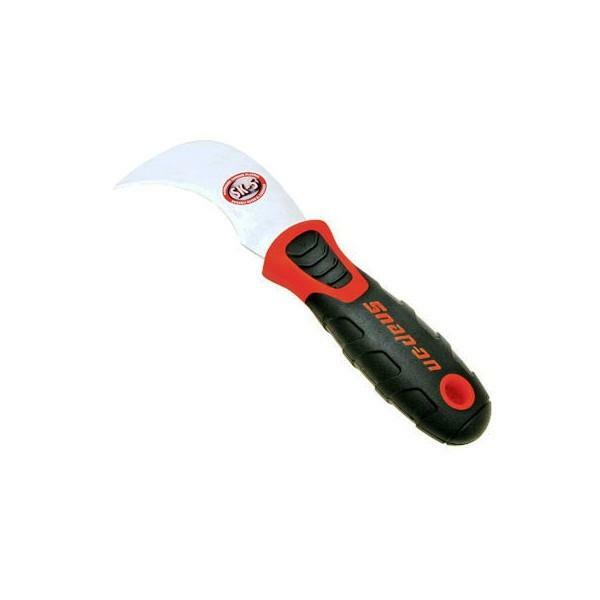 This tool is a genuinely versatile knife, which you can use for industrial cutting, multi-task harvesting, and vegetable cutting applications. 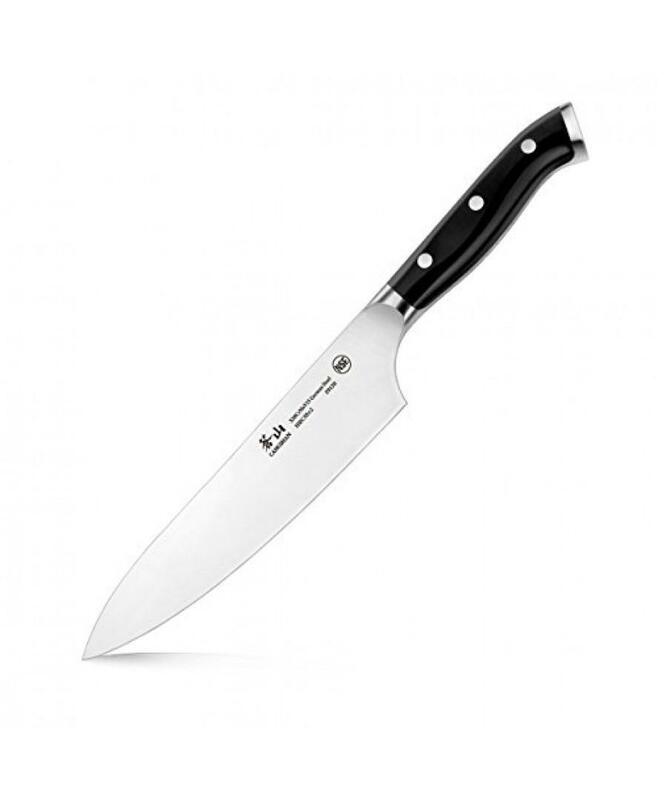 The knife features an extra-long blade and distinct blade design for precision cutting, regardless of the type of task in hand. The 3.6-inch long blade of this knife features a curved shape, a plain edge, a full tang design, a fixed lock, and a mirror blade finish. It also has an angle of 35 degrees. These specifications indicate a precise outcome for both agricultural and industrial cutting tasks. Instead of a straight edge, the edge curves and tapers toward the ground, which facilitates cutting by pulling. This is a plus point of this edge over a straight one, as it reduces the excess effort of simultaneously pushing the blade into the surface of the item. This additional effort always coexists with a straight blade. Further, a curved blade makes it much more efficient to cut items of linoleum, which can be a long, old carpet. In simple words, it is now faster and easier to cut with a curved knife than with a standard one. While the design can make it easy for you to reach out to the item to be cut, the blade’s length is a bit more that makes it a bit tough. The blade’s plain edge is a single continuous sharp edge, which facilitates push cutting. Such a blade has a wider purpose than other edge types. The biggest benefit of such an edge is a strong, steady pressure for a clean cut. Another benefit is that it does not slip or fray while passing through a few ropes, especially those of synthetic materials. Supporting this benefit is the full tang construction. What this means is that the edge would not separate from the handle even if you are hitting hard. The only exception here is the immense pressure. Further, there is no need to sharpen the edge, as it comes very sharp. The sharpness is perfect to cut linoleum like butter. This level of sharpness is retained until long, even if use the edge several times for cutting tough items. You will hardly see the edge becoming dull. 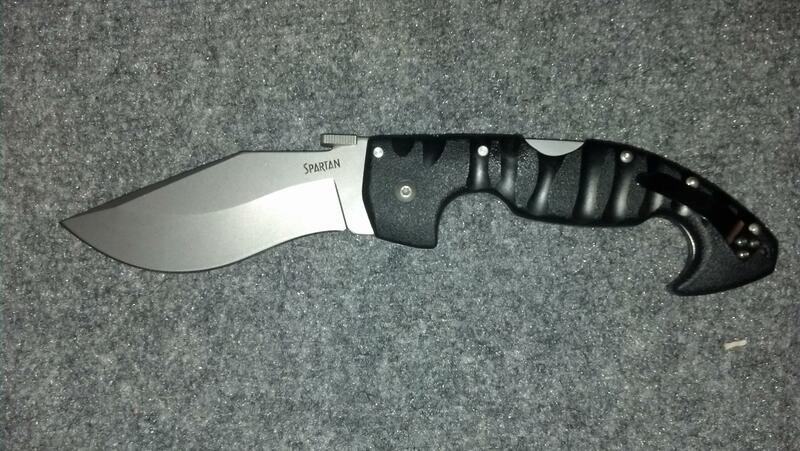 Well, the credit goes to the 1095 high carbon steel construction, which is a tough, cost-effective option for blades. This type of steel has high carbon content, which is the hardest element. This translates to highest hardness level as well as maximum strength due to which edge retention is for long. This level of hardness is also responsible for precise cuts, which is the reason why many chefs prefer this type of steel despite the fact that it is more prone to rusting than its stainless counterpart. The handle of this linoleum knife is made up of hardwood, which gives a good grip and feel, while in the palm. On the con side, it is essential to maintain the handle regularly, as it is of wood. 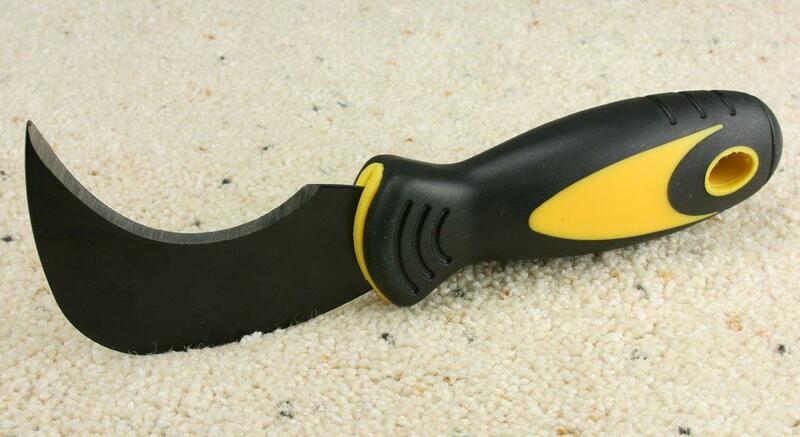 This heavy-duty linoleum knife is designed to last even in the toughest situation. It is most suitable for Do-It-Yourself (DIY) individuals, tradesmen, and craftsmen who work with linoleum or are into agriculture.